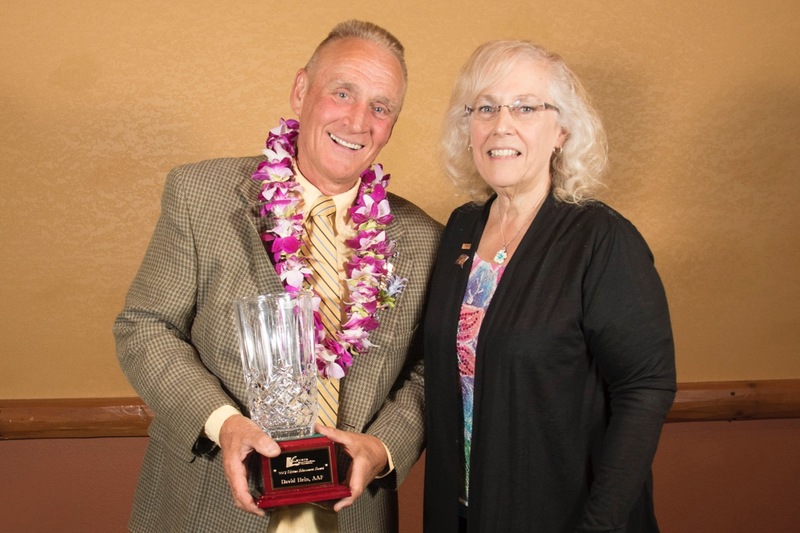 WUMFA Presents David Hein With Lifetime Achievement Award The Wisconsin & Upper Michigan Florists Association presented its 2017 Lifetime Achievement Award to David Hein, AAF, at the group’s annual convention held in the Wisconsin Dells. The award is given to an individual who has dedicated the majority of their life to the floral industry and in doing so has made the industry better. Hein has been one of the floral industry’s foremost promoters of floral design excellence. He has served as a designer, instructor, and presenter. He has been WUMFA president, vice president and director. For 10 years he was the head of the Center for Education. He is known for sharing his passion, knowledge, skills, and professionalism.